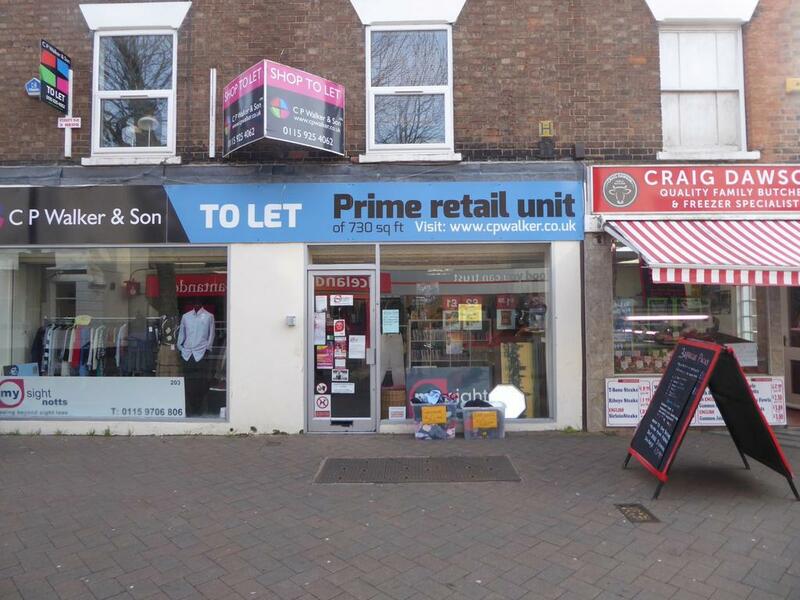 A single retail unit of 361 sq. ft (33.5 sq. 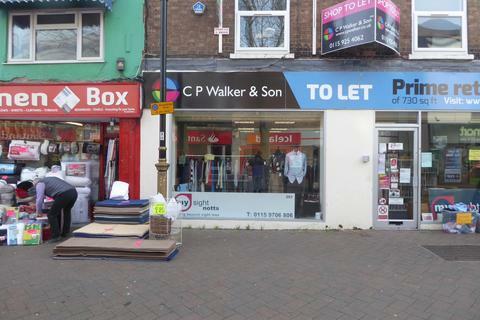 m) available to let situated on the pedestrianised High Road in the heart of Beeston town centre. Currently organised as a double unit (74-76 High Road), consideration is being given to split the unit and offer to let separately as No 74 and No 76. 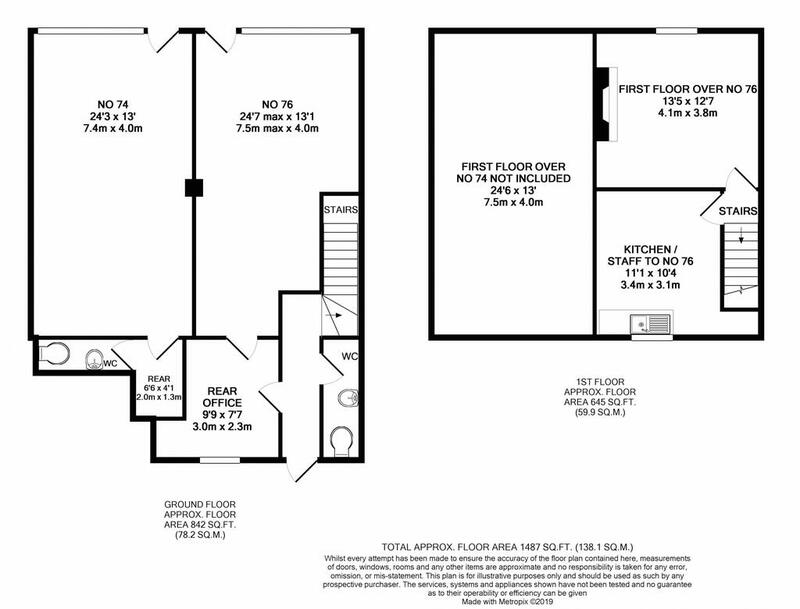 No 74 will provide a ground floor only unit with open rectangular sales area with a small ancillary area providing kitchen sink and WC. The plan attached to these details shows how the unit is to be divided. The sales are is around 321 sq. ft (29.8 sq. m). No 76 will provide a slightly smaller front sales area of 276 sq. ft (25.6 sq. m) but with more ancillary accommodation. 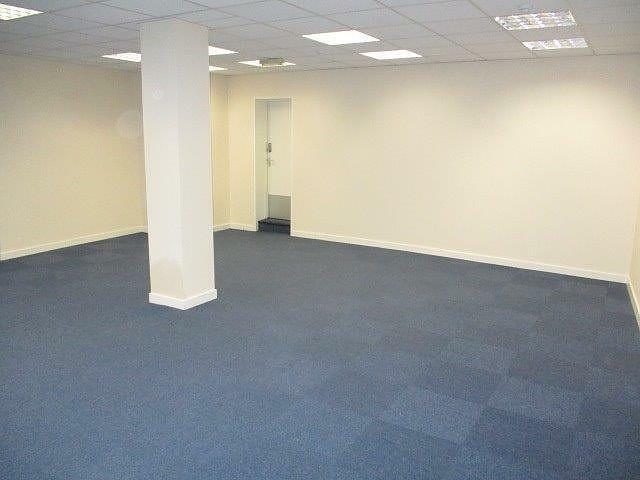 There is a ground floor store, separate WC and access out to the rear yard and first floor staff room and office. The total are for No 76 will be 639 sq. ft (59.4 sq. m). 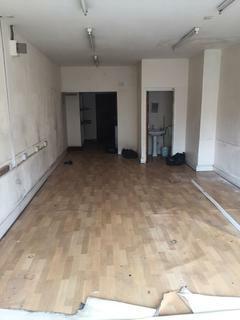 As part of the scheme, there will be a new shop front to No 76 providing a self contained access from the High Road. The properties are available to let by way of a new lease on FRI terms. The units have A1 planning use; alternative uses may be considered subject to planning being granted. Interested parties are invited to discuss their proposals with the managing agents for the property, CP Walker & Son. 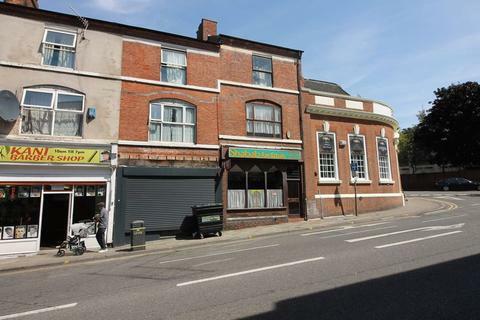 Beeston is a busy suburban centre situated 4 miles to the west of Nottingham City Centre. The town has a population of 37,000 with significant retail catchment. The Greater Nottingham Shopping Survey identified Beeston as the largest centre for the sale of comparison goods outside Nottingham City Centre and the most significant centre for main food trips in South Nottinghamshire. The Survey concluded that the success of the town centre was based on an attractive pedestrianised shopping environment and the abundance of parking facilities. 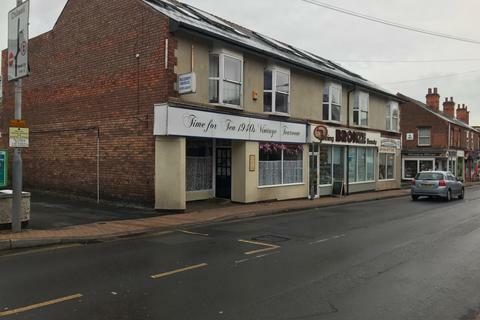 The property is situated in the centre of Beeston in the prime shopping area close to the junction of High Road and Stoney Street. Sainsburys is situated on Stoney Street providing one of the anchor retail tenants and 3 hour free parking facilities. A retail unit situated on the pedestrianised section of the Beeston High Road. Nearby occupiers include Iceland, Santander and O2. 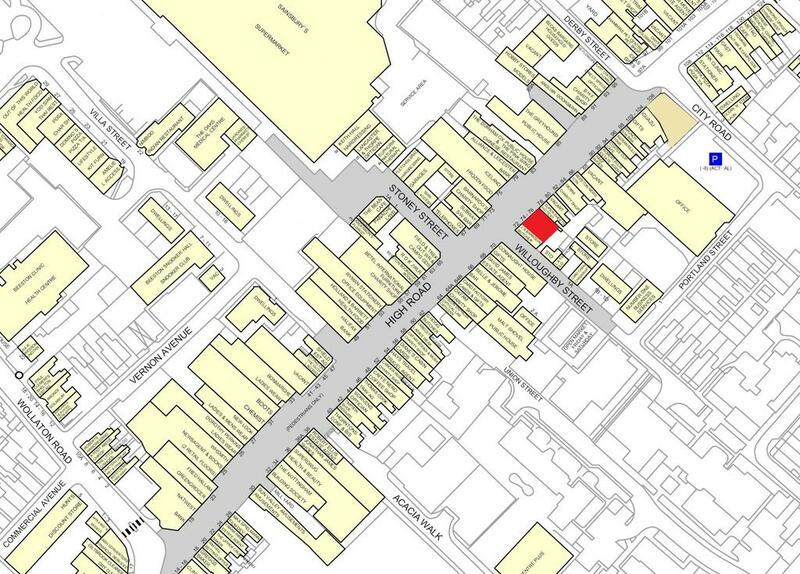 The position is close to the junction with Stoney Street providing access to Sainsburys and the associated parking. Other nearby car parks include Derby Street and City Road. A retail unit with open sales area. The unit provides a "magnolia box" that will be ready for shop fitting. A new wall will be erected inside the unit splitting No 74 from No 76. 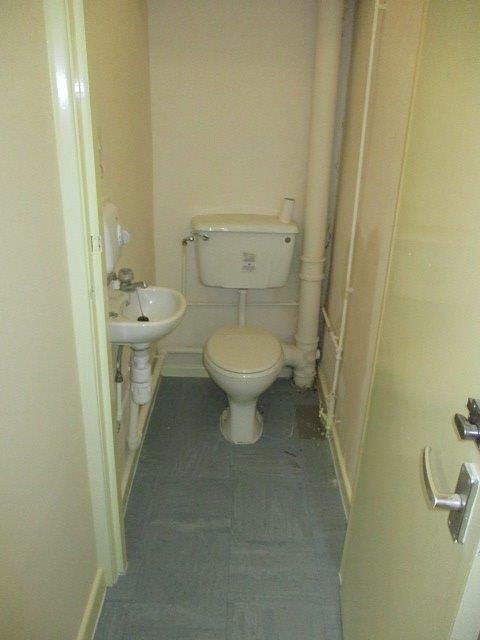 A door to the rear of the unit leads to a kitchenette area with WC off. To the rear of retail area is a small area for staff and a tea point. There is a WC off. With WC unit and wash hand basin. 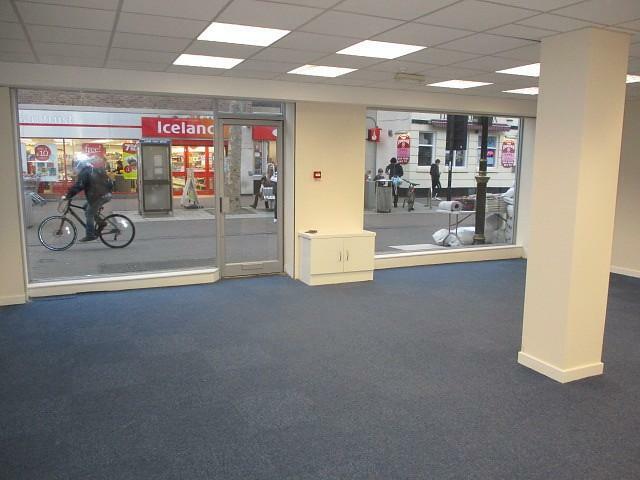 The property is offered to let on a new lease on effective full repairing and insuring terms. The rent is £12,000 per annum exclusive payable monthly in advance. The property is currently exempt from VAT. In addition to the rent, Rates and Buildings Insurance are payable in addition to the usual outgoings. The Rates are currently assessed with the adjoining unit. If let separately, the rates will need to be reassessed. We would anticipate if the units are split then the Rateable Value will be below the limits for small business rates relief. This would mean that small businesses will pay zero business rates. The existing Rateable Value assessment for both units is currently £20,750 meaning that the rates payable figure (18/19) is approx £9,960 per annum. The tenant is also liable to pay a fair proportion of the buildings insurance premium attributable to the property, estimated at £500 per annum for each of the units. There will be a service charge levied in respect of the electricity and water charges at the property. The electrics will be sub-metered. Shows position of the unit within the town. Property reference 15196. The information displayed about this property comprises a property advertisement. OnTheMarket.com makes no warranty as to the accuracy or completeness of the advertisement or any linked or associated information, and OnTheMarket.com has no control over the content. This property advertisement does not constitute property particulars. The information is provided and maintained by CP Walker & Son - Nottingham. Please contact the selling agent directly to obtain any information which may be available under the terms of The Energy Performance of Buildings (Certificates and Inspections) (England and Wales) Regulations 2007 or the Home Report if in relation to a residential property in Scotland.